We trust that you are pleasantly enjoying the ongoing redevelopment of Camp Victory Lake. Nearly two years ago the conference administration created the Northeastern Camp Development Committee to ensure that the refurbishing of our camp would become and remain a high priority on our agenda. 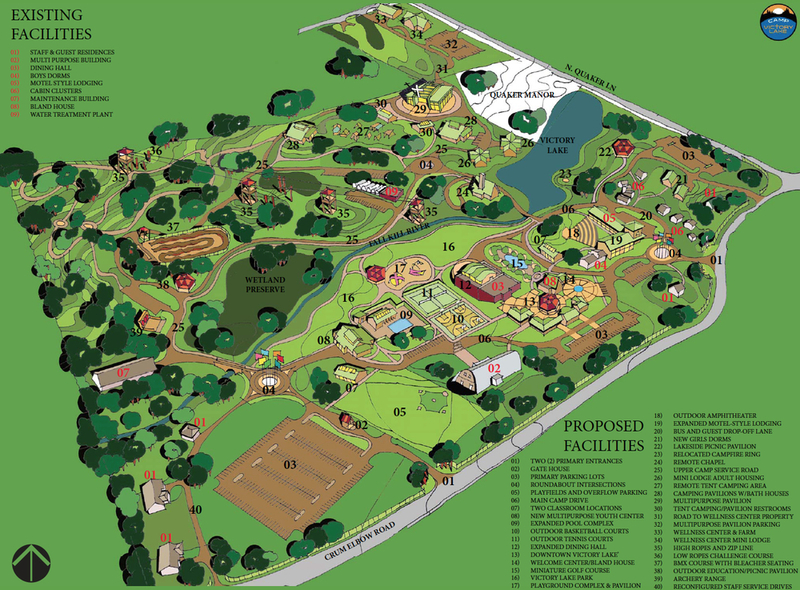 We are also delighted to inform you that Northeastern Conference has acquired the first complete Camp Development Master Plan that demonstrates the long-term vision of our campground. Based on the surveys that were completed one year ago at camp-meeting, the NEC Camp Victory Lake Master Plan was developed. This Master Plan will feature a modernized CVL with Gymnasium, new adult and youth pavilions for conventions, camporee camping areas, roadways and other amenities. Additionally, the plan also features a Holistic Wellness Center on the 10-acre tract purchased one year ago. We value the feedback from our constituents in developing this Master Plan because it ensures that this finished project will meet the needs of the Northeastern Conference constituency for generations to come. The developments in the CVL Master Plan will cost in the tens of millions of dollars and we will utilize a variety of funding sources to finance the eventual plans. hat’s why it is most important for you to become a contributor to the development of your camp now. Let your contribution of $10, $20, $50, $100 or any amount that you can afford show that you are serious about joining a positive effort to make our Camp Victory Lake the best Camp in the Northeast.